Follow these simple instructions for playing back the video files you recorded on your dashcam. 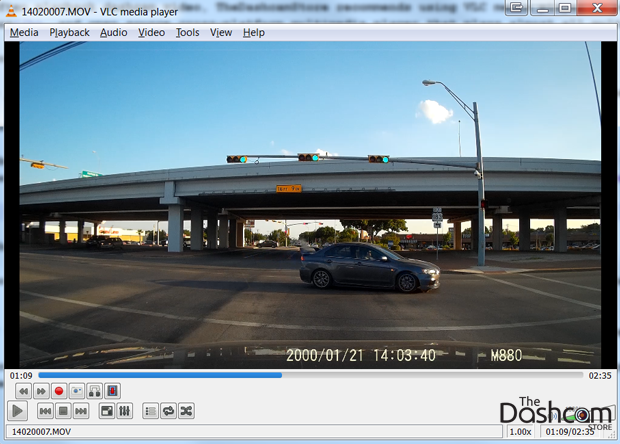 While other media players can often play back dashcam video, The Dashcam Store™ recommends using VLC media player to watch videos that you have recorded on your dashcam. VLC is a reliable, free, and open source cross-platform multimedia player that plays almost all multimedia files. If you would like to use VLC, you may download VLC here. 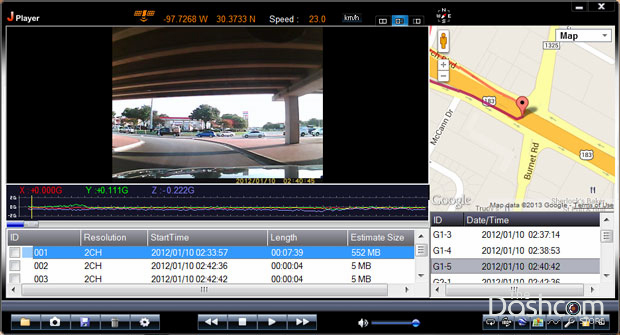 Note: some dashcams such as the BlackVue product line, the DVR-R300 utilize their own video playback software. If you own one of these cameras, you do not need to download VLC, instead please check our dash cam video player software page for your specific application. Note: in order to playback GPS Logs, you will need to utlize the manufacturer's software. VLC does not play GPS information. For performance reasons, it is best to play back dashcam video files from your hard drive instead of directly from the memory card on which they were initially recorded. For instructions for how to retrieve the videos from the dashcam, please see our retrieving videos how-to. 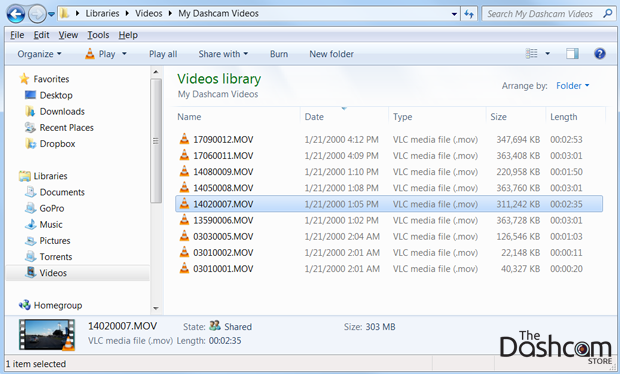 Use Windows explorer to locate the directory to which you copied your video files. If you installed VLC, your video icons should be orange cones. When you double-click on these icons, VLC media player will be launched, and your playback will begin. Note: The higher the quality of the dashcam video, the longer it may take to begin playback. Please give your computer time to start showing the video!